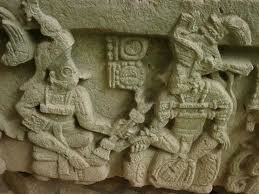 The book is replete with Maya cosmology and this "May 2012 Special Edition" includes a one-on-one interview with a Maya expert at Harvard University, definitively answering the question about whether or not the world will end this year. Murray writes well, developing memorable characters. Murray's fiction debut is thought-provoking. 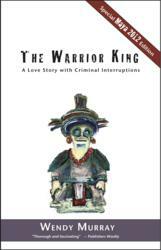 Wendy Murray's novel, The Warrior King, has been re-released as a special Maya 2012 edition that includes a one-on-one interview with a Maya expert at Harvard. The interview, added at the end of the book, probes the meaning of the mysterious hieroglyph in the Maya records that many have interpreted to suggest the end of the world in 2012. Murray’s novel tells the story of Lucy Shaw, a well-known international journalist who has been assigned to travel to the Maya ruins in Copan, Honduras to report on a discovery the archaeologists believe to be the tomb of the ancient Maya dynasty’s founding king. As the story progresses, Lucy is forced to work closely with her former lover, lead archaeologist, James Fee, while the strain of their painful and tumultuous past bears heavily on them. A mysterious murder adds to the tension and compels the protagonists to confront forces and circumstances they cannot control or explain. The Warrior King is based upon several years of on-site research by the author who interviewed at length the lead archaeologists when she covered these discoveries for Time magazine. The story's archaeological data is true to the events as they occurred during the time in which the book is set (the early 1990s). 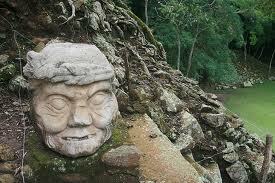 The fictional characters animate the mystery and emotion that not only take the reader through the tunnels of dead Maya kings but also into the hidden tortured places of the human heart. Wendy Murray lived in Honduras for four years covering political and cultural events for Honduras This Week, and Time magazine. Murray’s writing has taken her all over the world. Having published ten books, she is proud to present her eleventh book and debut novel, which Publishers Weekly has called the book "thorough...and fascinating." Ecco Qua Press is an independent publisher of fiction, literary nonfiction and poetry. The name is Italian, translating to “Here it is,” defining its mission to get good work out and into the hands of interested readers.